minus the wine, of course. last saturday the whole brown clan was all in one city! my parents came to bring bailey kate to EFY, and then they hung out with the rest of their children while she was off on that adventure for a week. and just our luck – momma shari kunz came to town at the same time! we soaked up all our time with the fam. we ate out a lot, which is a rare treat for us and our strict budget lifestyle. 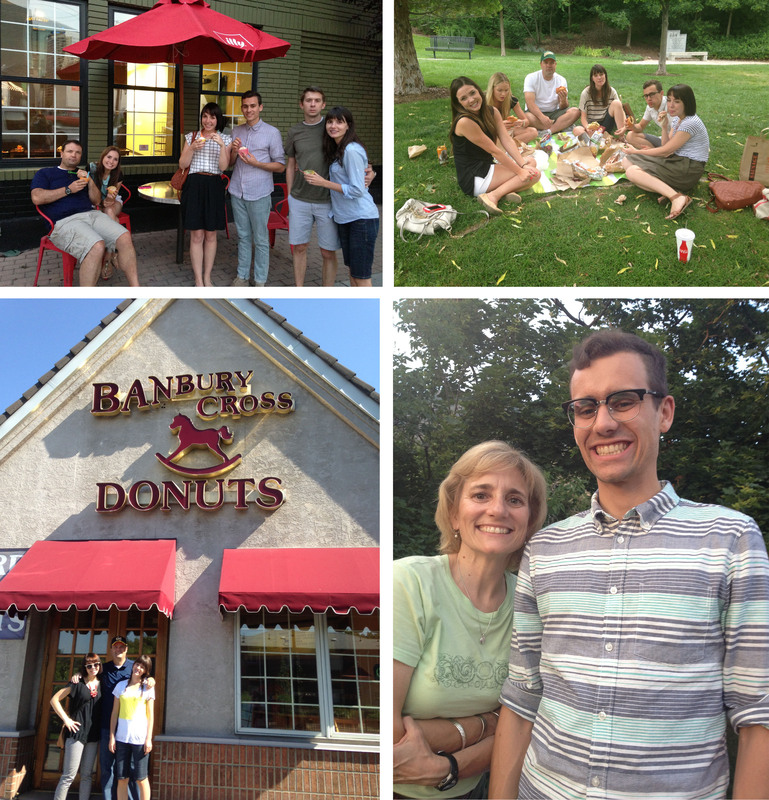 we went to settebello and dolcetti gelato, we had a picnic at memory grove with moochies majorly messy sandwiches, we hit up lone star taqueria on our way down to utah county, and topped it off with plenty of treats from the likes of banbury cross donuts and farrs frozen yogurt. all the hot spots! all the deliciously unhealthy hot spots. we also went shopping and touring park city main street, went to a community pioneer day breakfast and parade, had a birthday party of our little cousin ruby, and played some intense rounds of the new family favorite game, perpetual commotion. This entry was posted in home, kunz life, salt lake city and tagged eating out, family time, salt lake city. Bookmark the permalink. It was such a wonderful week!!!!! Loved every minute! Love you all! 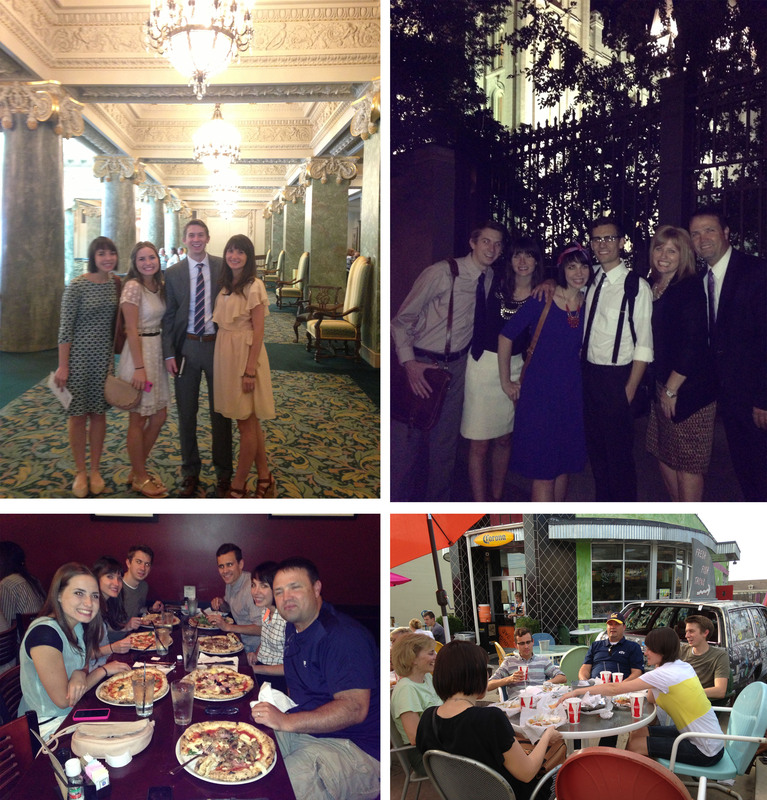 Three cheers for family bonding, deliciously unhealthy food and that great royal blue dress!